Discussion in 'Jeep Trailer Tech' started by 458soco, Oct 10, 2018. I bought an older m101a1 a few years ago and turned it into a camping trailer for my by-yearly camping trip with some keeping buddies. I used some troop seats I scored for free for the sides and made my own bows out of conduit. Small tool box on the front hold gear and a battery. Ammo can on the fender well holds light switch, charging port, and the fuse block. The first four seats fold down and allow for a sleeping platform (I’m short lol). I lightened it up every way possible and have pulled it a few years with the 74 cj5 I had. You just had to pay very good attention to your speed and other people! In a few weeks I’ll be pulling it with the wife’s jku. 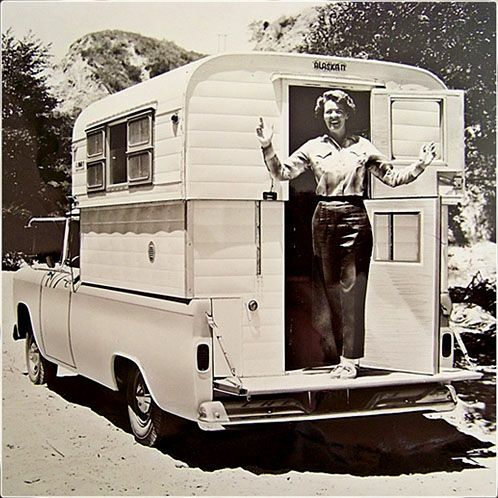 The tarp is starting to leak and I can’t seem to find any new replacements so I’ve been looking at vintage camper tops are maybe one of the old small slide in campers. Anyone tried this yet? Glenn and jeepermc like this. I haven't tried it but I've certainly tossed different ideas around similar to yours. Obviously weight is a concern, seems like just an aluminum topper would be your best bet. That looks to me like an Alaskan camper in the picture. 458soco and heavychevy like this. Yeah weight will be my enemy for sure. Right now the troop seats are the heaviest part of my ad ons. My wife’s JKU pulled it great this weekend. The fact it’s a six speed helped a lot I think. We had a big windstorm sat night and had some limbs come down near camp. A few of them would have came right through that tarp. Inside of trailer as it sits. Still searching for camper top. 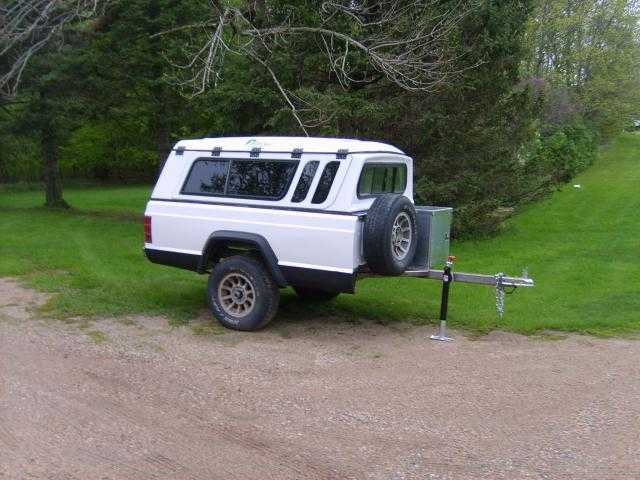 Have you checked into the cost of building a topper to fit the trailer? Yeah my buddy did that and it wasn't too expensive but its way to heavy. He used wood, I think you could use aluminum and reduce weight a lot but price would go way up. Yeah, it could get heavy real quick with wood. Aluminum would be the way to go for sure, but yes the cost can go up quick. Another thought would be to find a WilderNest topper. I used one on top of a Comanche pickup bed to match my truck. That's not too bad a price! Looks like it’s gonna fit pretty nice. It needs a little sprucing up but it’s in really good shape. It was on a 73 c10 long bed. Guy said it’s been on there since the truck was brand new. Glenn and ojgrsoi like this. Got some 3”x5” angle welded onto the sides of the trailer to compensate for the extra width this weekend. Also got the inside primed. Plan is to get the inside painted and then test fit the camper top. I have to replace one 2”x6” on the top. It’s one of the ones that bolts to the bed. I don’t really know how I’m gonna replace it but I got to. If I understand what you are doing, you should be able to take the outer trim and skin loose by unscrewing it and pulling it away from the bad framing. I'm guessing the inside has paneling, should be able to peel that back too. I've repaired/ rebuilt a couple old campers, you can pick it apart, replace the bad wood, and put it back together. That should work out just right for you. My father had one of those on a new C10 also, I think it was a '69. He made a place across the front of it to sleep on when he went fishing over on the coast. For inspiration you might check out "alive outside" on YouTube. 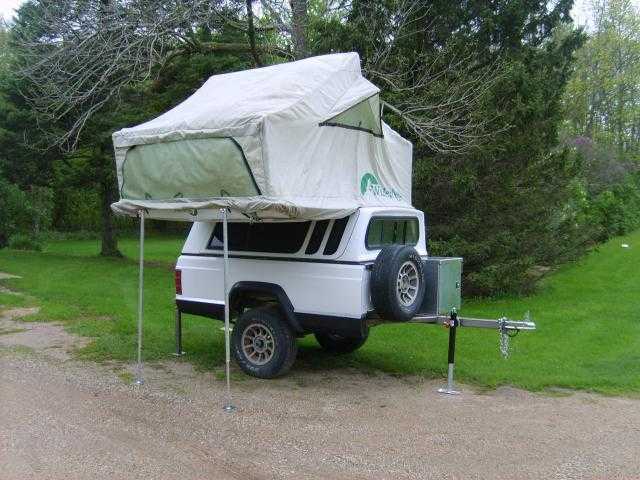 The one guy built a sweet camper on a similar platform, you might get a few ideas from it!